Luggage & Bags There are 20 products. 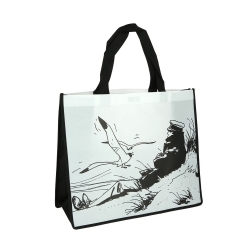 Semi-Waterproof Bag Tintin: Explorers on the Moon. 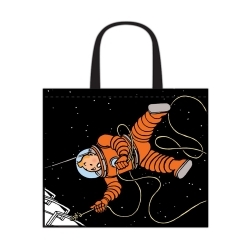 Visual of Tintin cosmonaut on one side and on the other side Haddock cosmonaut. 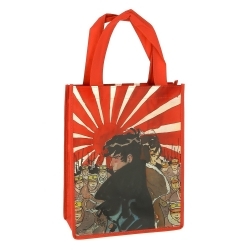 Dimensions: 45x38x20cm. 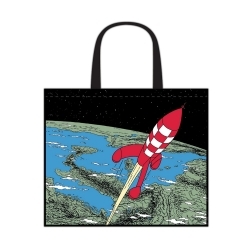 Semi-Waterproof Bag Tintin: Destination Moon. 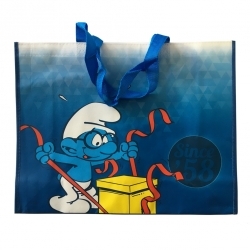 Dimensions: 45x38x20cm. 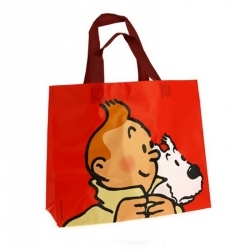 Semi-Waterproof Bag Tintin in the Congo. 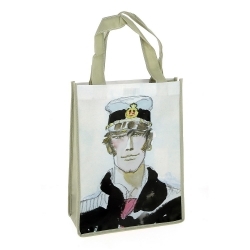 Dimensions: 45x38x20cm. 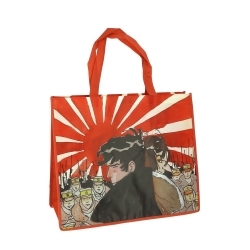 This semi-waterproof bag is decorated with a visual of Corto Maltese: Portrait. Dimensions: 26x33,5x12cm. 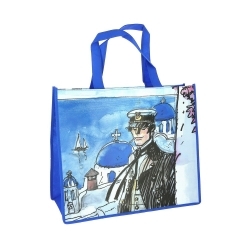 This semi-waterproof bag is decorated with a visual of Corto Maltese: Grèce, 1993. Dimensions: 26x33,5x12cm. 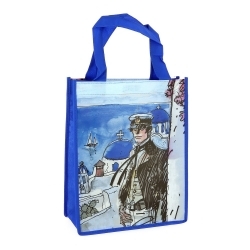 This semi-waterproof bag is decorated with a visual of Corto Maltese: La Jeunesse, 1985. Dimensions: 26x33,5x12cm. 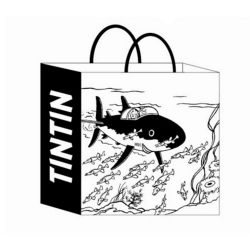 This paper bag is embellished with the visual of Tintin and Snowy in the Submarine Shark. Dimensions: 44x42x20cm. 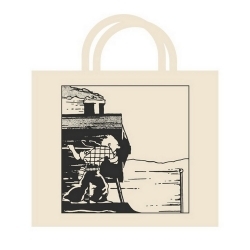 This paper bag is embellished with the visual of the Castle of Moulinsart . Dimensions: 36x25x11cm. 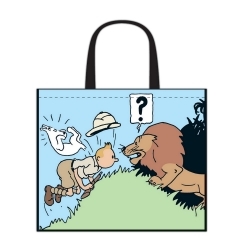 Children's Backpack Tintin and Snowy Prisoners of the Sun. Dimensions: 30x24x12cm. 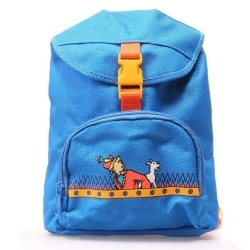 This Tintin Backpack been made using synthetic non-woven fabric. 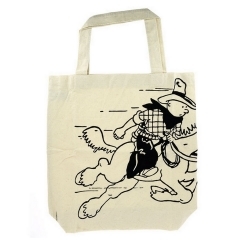 100% Cotton Reusable Beige Bag: Tintin Cowboy. 48x42x12cm.